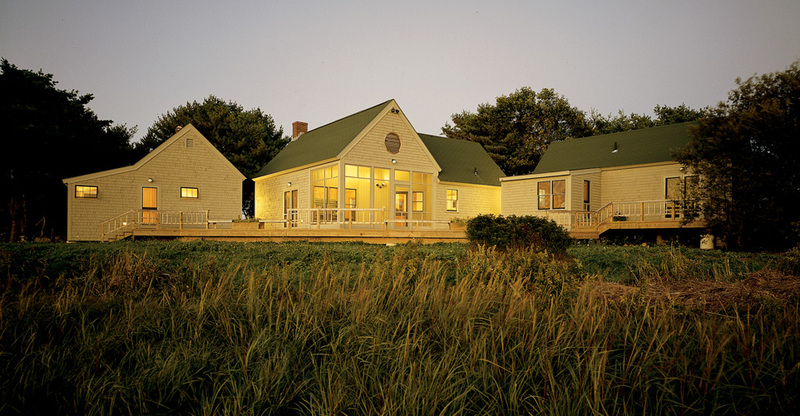 This residential compound at the end of a mid-coast Maine peninsula accommodates our clients’ grown children, their families, and guests in varying number and duration of stay. Three distinct but related structures, connected by a rambling deck, are easily opened and closed seasonally. 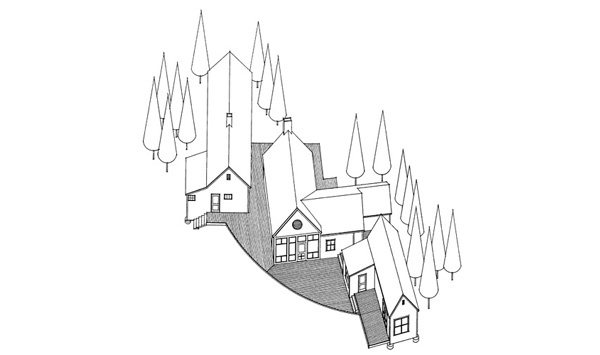 Each is skewed in relation to its neighbor; spaces between form outdoor rooms of different scale and character. The informality of this positioning reflects the irregularity of the water’s edge. From virtually every room, both indoors and out, the sea is a powerful presence. The special sense of this project lies in the rapport between built and natural elements.